Boring, old paint can date even the most functional and potentially beautiful of spaces. Though this is one of the simplest of fixes, many shoppers are intimidated by painting and turn away homes that might need a little work. Not everyone has the money to hire a professional crew to come out and tackle their painting projects, and doing it yourself might seem like a laughable idea. 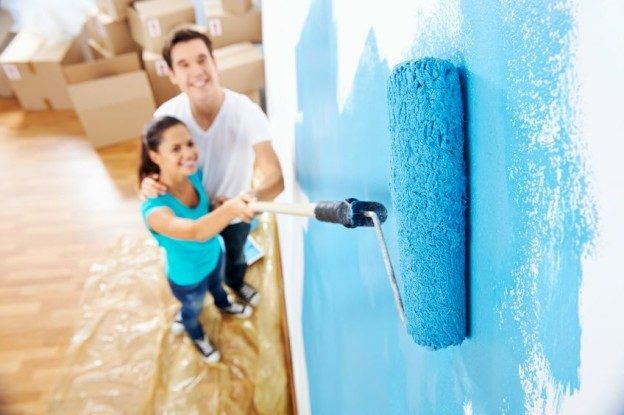 If you are looking to sell your home this year, or if you have purchased a home that needs some rooms repainted, you need to be let in on a well-kept secret—repainting a room is not nearly as difficult as it may seem. Choosing a new color is half of the battle; neutrals are all the rage these days, with greys and pastels leading the pack for most popular colour selections. Once you have an idea of your colour palette, follow these five easy steps for the right way to paint your Niagara homes to have a final product that is beautifully done. Take a sponge, water and mild dishwashing detergent, and spend some time washing all of the dust and outstanding stains off of your walls. Leaving these debris will create an uneven surface that is filled with small particles of undesirable objects. Do not forget to knock those cobwebs and dust bunnies out of the corners of your walls. If you have a popcorn ceiling, it is time for it to go. Clean it up, and get ready to replace it with a smooth, modern finish. After you have cleaned these surfaces, tape around each edge and outlet so that you will not get pain on any trim surfaces. It is time to start painting. Paint your corners and the perimeter of the room first, following the edge of the ceiling and trim, as well as smoothly filling in the corners. This is known as cutting in around the edges. You should do this one section at a time, painting a parameter, then the entire wall, so that you can prevent lines from forming. Paint your walls in a W pattern, starting from the corners and working your way inward. Go one wall at a time, do not get in a rush, take your time and enjoy the activity. Rolling the ceiling is the correct way to get the rooms of your Niagara homes painted. Once you have dipped your roller, roll it across your sheet to get all of the excess paint off. You should start in the corner of your room, making an effort to blend the fresh paint with the paint lines that were previously completed. Move your roller in a motion that is going across your body, rather than along, and always paint the direction of width, not length. Once you have finished with the ceiling, carefully paint the trim. This year brings new seasons and new opportunities on the real estate market. To sell your Niagara homes, visit our selling page or contact a representative with Niagara Homes today. This entry was posted in Blog, Uncategorized on January 14, 2016 by Kevin Stokes.